We aren't closed quite yet. Stop into the shop for 30% off most items and help us to lighten the load a bit more. We will be taking a short break in April while we rework the website and will then have more exciting news for you. *excludes our wonderful consignment vendors and spinning wheels, but includes everything else! Keep track of your points and rewards online! Did you know you can create a login and check your points balance through the website? You can even redeem your rewards through the website. We may be closing the physical store on April 1, but you will still earn points and be able to redeem rewards on all purchases (whether from the website or a festival). Join the Perfectly Vintage Club. 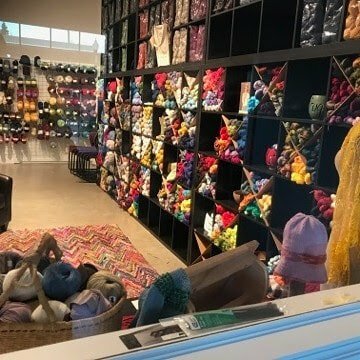 Kelli has put together a fantastic bi-monthly club featuring Studio Donegal Darnie, PCC, Lilliput, and Blazing Fibers. Inspired by the vintage patterns she and Tina find while traveling, this year's accessories are just the treat for you or a friend. 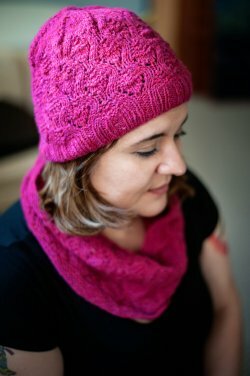 This month's kit is the Hedy Cowl and Hat! One skein of Studio Donegal Darnie will make both patterns.